Who woulda thunk it?…An all instrumental harmonica-organ-guitar-drums-bass album from a bunch of guys from the Ukraine that encompasses jazz, jump blues, west coast blues and Bossa Nova, all handled masterfully. 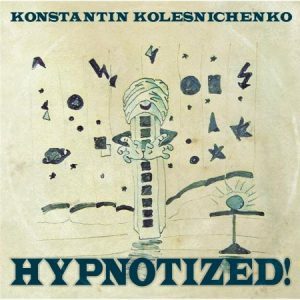 Konstantin leads the band, on this his fourth album. His skillful harmonica playing is ably assisted by Paul Seedorenko on guitar, Mikhall Lyshenko on organ, Dmitriy Lytvynenko on drums and percussion and Mikhall Tolstolutskii on bass on three tracks. Try saying those names three times real fast. They are names you would do well to remember as this CD is a pleasurable experience right from the first note. The only minor squabble would be the relatively short playing time of just under thirty minutes…But boy do they fit a whole lot of fine playing into that allotted time. Konstantin is the leader, but pretty much equal time is given to all three lead players. A cover of Stan Conover’s “Bad Girl” is a slow cool jazz excursion with the harmonica playing delightfully reminiscent of Cuban harmonica virtuoso Carlos Del Junco, who now makes his home in Canada. This is particularly evident when harmonica and guitar play lines in tandem. 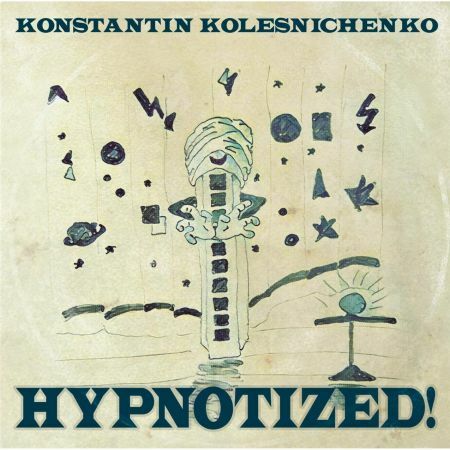 Konstantin’s harmonica snakes and swerves with ease throughout this CD. Next up is a tribute to one of my favorite harmonica aces, the late great William Clarke, the aptly titled “Tribute To William Clarke”. Clarke’s hard-blowing west coast blues style is captured perfectly with all the necessary energy and finesse. They segue right into the nifty Bossa Nova of “Canto de Ossanha” a song written by Vinicius de Moraes and Baden Powell. There seems to be nothing these guys can’t handle expertly. They slip into a jazzy blues via “The Dog’s Tail”. Guitar and organ take their usual solos along with K.K. on harp. The organ playing owes much to the classic jazz players of the fifties and sixties. “East Breeze” is a way cool jazzy romp encompassing the usual tasty solos, including a well recorded brief drum solo. The guitar player shines on a great jazzy solo here as well. I repeat myself because the playing of all concerned is first rate all over this joyful disc. “Brother Jack, Bill And Gator” is a nod to Brother Jack McDuff, Bill Jennings and I don’t know who Gator is, but he has to be good. Fantastic organ energy on this one. Things close out with the title track, one of four penned by Konstantin, a slow and soulful jazz burner. They make the originals sound like instant classics in their able hands. You just can’t go wrong with this level of musicianship. A clear case of instruments in the hands of players who love and are well schooled in the music. You’ll never get tired the this musical journey. Jazz, blues, South American rhythms, it’s all here. If you are of a lover of music in general you are going to find much to like here.